For my bold and geometric design, I reached for 51-125 Deco Frame. I love pairing a geometric design with stamps and dies inspired by nature. This card began entirely as white cardstock and all of my backgrounds were inked with Ranger Archival inks using an ink blending tool and foam pads to apply the inks. Stamping and die embellishments were added with the same inks but in a darker tone, creating the tone-on-tone floral background and butterflies. 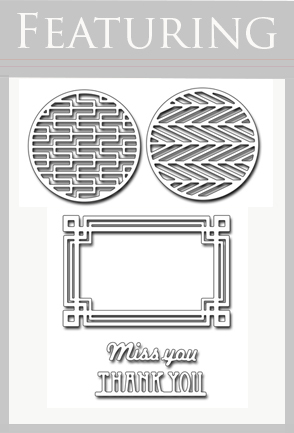 All stamps and Creative Dies by Penny Black: 51-008 Bashful, 30-283 Snippets, 30-284 Sprigs, and 51-125 Deco Frame.